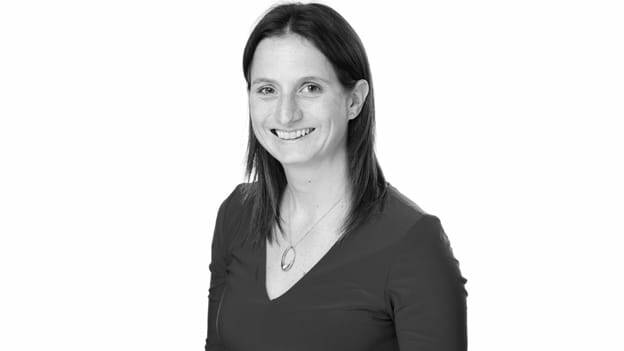 In an exclusive interview with People Matters, Denise Sefton, Global Chief People Officer, dunnhumby shares some of the best practices dunnhumby is following to be an employer of choice and retain talent. In this uber-competitive world, the fight for attracting the right kind of talent is intensifying day by day. From novel hiring practices to improving employee experience to leveraging analytics to retain the best talent, organizations are experimenting on all fronts to win the talent war. In the light of this, becoming one of the most coveted workplaces to work in is something every organization aims to be. This is one feat which dunnhumby, world's leading customer science organization, based in the UK seems to have aced. Dunnhumby has been recognized many times as one of India's best workplaces by the Great Places to Work® Institute. Denise Sefton, Global Chief People Officer, believes that this has been possible because of the organization’s focus on creating a high performing organization and investing in developing its people. As dunnhumby celebrates its 10th anniversary in India, Denise spoke to People Matters, shedding light on what it is doing right to be the employer of choice. From IT to FMCG to data analytics, you have worked in HR across different verticals. How has your experience been and what shifts have you seen in HR talent retention practices over the years? Most recently I was HR Director at Experian EMEA, where I lead a large team delivering strategic and operational HR and Engagement priorities to more than 1600 professionals. I also spent three years as HR VP for the UK at CGI, an IT Services company, supporting 5500 employees. Before transitioning into the HR profession, I was a Change and Organisational Development Consultant. Over my years of experience working in HR, the function has moved away from an HR generalist approach to specialisms such as Operations, Centres of Excellence and Business Partners. This really helps professionalize HR across all areas and enables us to better support the business strategy. Therefore, our business partner talent is much more commercial and client focused in their approach than perhaps previously. In this era of transformation where organizations are increasingly leveraging talent analytics, how does dunnhumby incorporate the same to enhance the employee experience? We undertake an annual employee engagement survey which gives all our employees the opportunity to be heard and to share how they feel at work. The insights from the survey drive the decisions we make to improve ways of working. Before employee ratings are finalized, we take the time to run performance calibration sessions across teams, regions and at the executive level to ensure the employee performance ratings are consistent and fair across the organization. We also use independent data to benchmark our reward packages in comparison to other employers to ensure that our people are rewarded and recognized for the fantastic work that they do. Also, we gather insight and metrics into the employee experience so we can continue to improve, for example getting input into our recruitment and new hire onboarding experience. India has an immense talent pool of data scientists. Having completed ten years in India, how is dunnhumby is aiming to leverage that? What plans do you have for India this year as far as your people strategy is concerned? We have seen rapid growth in our India Data Science hub over the last ten years. We are expanding our offerings to new sectors and geographical regions. This means that we will continue to seek and hire great talent in data science, data engineering and product development. India will help us stay ahead of the curve in this rapidly changing field. How is dunnhumby investing in skilling your people as the need for skills around data analytics rises? What are some of the practices you follow to retain top recruits? Our Global Learning & Development team focusses on creating opportunities to feed our people’s curiosity to understand, improve, and learn; encouraging everyone to build on the best of what we do. As dunnhumby adapts and grows, our people have opportunities to stretch and build new knowledge and experience. We strive to make straightforward, engaging learning available at the right time for our people, so we can all make the most of opportunities, whether it’s becoming more expert, taking on a broader role, partnering with a new client or moving into a new area of our business. We offer learning programmes and courses to support our career paths and help our employees build the knowledge and skills for success at dunnhumby. As with most companies today, our programmes are a blend of e-learning, self-driven guides, and workshops, depending on the outcome we're working towards. We have a range of internal programmes complimented by learning offerings delivered by external experts. There is a need for women in analytics. How is dunnhumby creating a culture of diversity and inclusion? 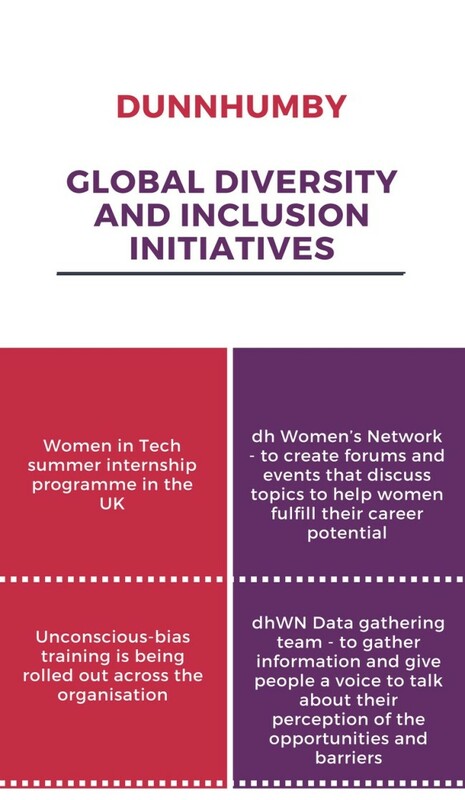 Could you share some examples of how diversity initiatives at dunnhumby have driven better outputs? At dunnhumby it’s crucial we build an environment that reflects the societies in which we operate and where every individual can be at their best, so collectively we make better-informed decisions, boost our innovation and address challenges from different perspectives. We continuously seek to build an environment of inclusion, equality and respect because we know that will make us the best business we can be. We are proud that half of our commercial leaders in India are females and we have strong female leadership figures in the office. For us, diversity and inclusion (D&I) is not just about a series of initiatives, it's about changing behaviors, challenging norms and embedding skills into all areas of our business – a thread that runs through everything we do at dunnhumby. Dunnhumby has been recognized multiple times as, one of India's best workplaces by the Great Places to Work Institute. What are some of the best practices you are following to be an employer of choice and retain talent? We care about creating a high performing organization and investing in developing our people. Culture is important to dunnhumby. Our values are more than four words on a page - they are lived and breathed every day. Engagement in and outside of the workplace is important to us and we have a number of events and activities that are designed and led by our people. We’re a great believer in achieving a good work/life balance and we want our employees to feel at home at dunnhumby. We even include their families in our events. All our employees have regular meetings with their manager to discuss their personal development and build a career development plan. This gives all our employees a clear understanding of their role and how it fits in at dunnhumby. Throughout the year we have Quarterly Performance and Career Check-in and Goal Setting meetings along with an end of year review. Our graduates go through a two-month ‘bootcamp' where we equip them with the knowledge and skills to help them in their career. We have over 400 employees in India and when we hire we also evaluate whether a person will be a good cultural fit and our onboarding program includes cultural integration. We also have our Values in Action awards (VIA) a way for people to be recognized by their peers as someone who actively demonstrates one or more of our values. Our new graduates are leading a programme of how we even better embed our culture and values into everything we do.